I am so happy to announce that a song I recently co-wrote on with my good friend SOMNI has been released by ARMADA DEEP. Check out our collab (sans my vocal) with INSTRUM and give it a spin! Check back to see if Josh is coming to a city near you! Josh will take the stage at B-Bob's in Mobile, AL to help celebrate their 21 years in business. 8/12/13 Josh joins the Southern Decadence line-up! The nation's largest LGBT celebration Southern Decadence welcomes Josh to the pre-parade show line-up which will be held at the host bar Tubby's Golden Lantern. Southern Decadence is known to attract over 100,000 people from all over the world each Labor Day weekend and it all takes place in the heart of the French Quarter! For more information, check out the schedule page or go to the official Southern Decadence website. 8/1/13 Rainbow World Radio interviews the "Prince of Pride"
Host Len Rogers catches up with Josh on the August edition playlist. Find out how Josh is now considered the "Prince of Pride" and how a jacuzzi could benefit his creative process! 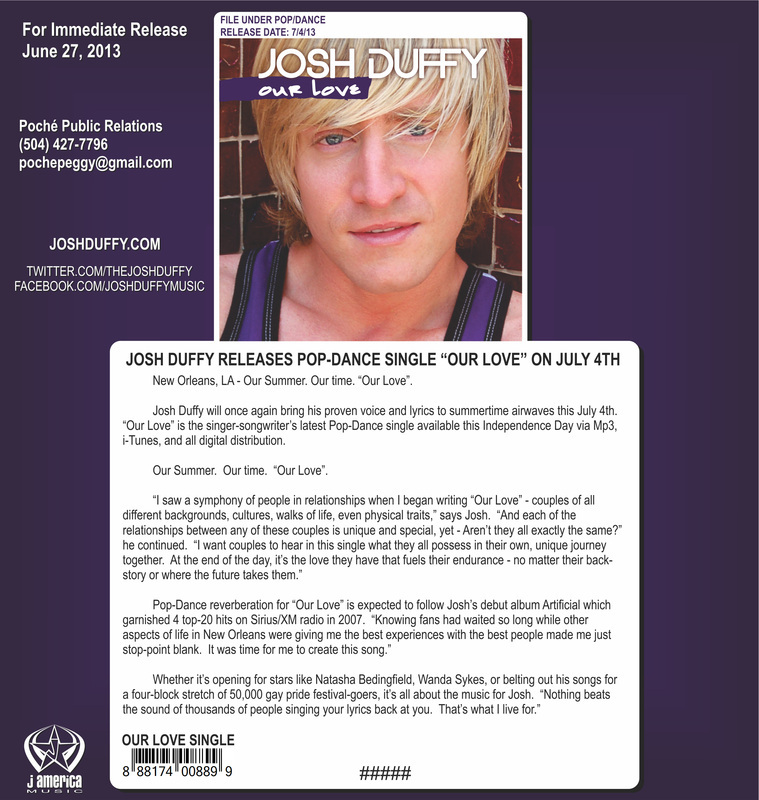 7/31/13 Josh is featured on the August edition of OutRadio! Head on over to OutRadio to hear Josh's interview with JD Doyle, which will be available to stream all month long! Simply press "3" on the top navigation bar to listen. Also, Melange Lavonne (who appears on the remix of Josh's "Truth") speaks with JD and debuts her new material. 7/4/13 "Our Love" is now available on iTunes! RightOutTv.com interviews Josh about his new single "Our Love" and more!